This week, I purchased this 62 page eBook of Questions ($15 if you order through the last link on the sales page, not $19 as it says on the sales page today). Some of these questions will help your evangelism discussions as well with seekers in your groups. The author also points out which questions would be good for mature believers, seekers, youth, children. Now, I’m not allowed to give you the 52 questions directly. The copyright belongs to the author who is selling this resource at a fair price. Is there anything you wish the biblical author had included in the story? Why do you think this was not a part of Scripture? I can imagine using that with some seekers who might be looking at the biblical text for the very first time. They might ask questions of the text that we long time Christians hadn’t thought of. It might also reveal an insight into their spiritual thirst. That is what I’m looking for when having bible studies for seekers. Spiritual thirst allows me to tap into what God is doing in that person’s life to draw that one to Himself. (Read how spiritual thirst opens the conversational door). What are the surface issues that Jesus skips past to get to the heart issue? Likewise, I could use this question in my discernment of spiritual thirst of a person. You could rework this question to speak of the prophet or leader or other central character in the text. As questions get below the surface, answers can potentially reveal what is really in the heart. As evangelists, spiritual thirst is what we look for. 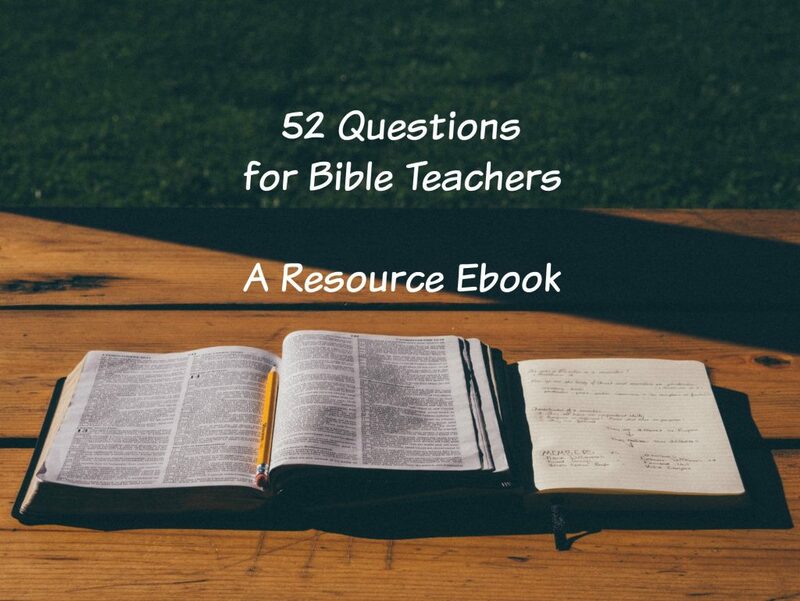 The 62 page ebook is laid out with one question per page, plus some background as to why that question is effective. The layout gives the author room to tell us how to leverage those questions for specific situations and his experiences in using them. The 1 per page format is useful for printing out and storing in a 3 ring binder for your study. I was also impressed with how field-tested these 52 questions are. Likewise, as I read these questions, I found myself creatively spinning off variants that will help me have more discussions with spiritual seekers. This little ebook spurred some great creativity. These can be a useful tool in your leadership skills. To buy your copy, please click here or tap the big blue order button. It’ll take you to a sales page with the purchase link at the top right. The purchase page is a little old, graphic and color wise, but the links work. This is an affiliate product, which means I will make a small commission off your purchase.